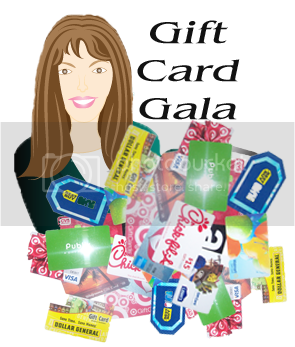 Welcome to the very 1st Gift Card Gala sponsored by Debbie Does Coupons and 32 other great bloggers, bringing you a chance to win an assortment of Gift Cards! Simply Fill out the Rafflecopter Form to Enter. Every Entry is worth 1 point Extra Entries at the Bottom will have their point Value listed. This will be Monthly so stay tuned every month for your chance to win a variety of Gift Cards! There will be one winner per blog. All winners will be picked by October 16th. Winners will be contacted via email within 24 hours by the blog owners where they won. The winner has 48 hours to contact the blogger back with your mailing address. I d love to win the red lobster gc the most . Not sure if I completed all the entries because the Rafflecopter form would not extend past the end of the blog. I refreshed page multiple times. Also, if we enter on one blog, are we entered for all the giveaways or do we have to enter on each blog? I was having issues getting all of the entries to show up as well,but after doing what i could then refreshing more would show up till i get them all. I would be happy to win any gift card & am thankful you all are having this awesome giveaway for us giving us the chance to win something. i'd love to win any of the gift cards!!! in these tough times, if i can't put one of them towards groceries or necessities, then i can gift them to someone, saving me that expense, putting the extra cash in my pocket to pay bills with!!! i'm broke!!! ahahahaahah!!! thanks for being part of this WONDERFUL giveaway!! "Like" Couponspice on Facebook. I did the entries up to that point but can't "Like" the other pages. 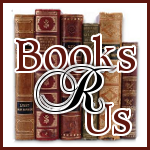 Since I'm a book fanatic, I would like Amazon with Walmart/Target coming in a close second! Any one of these GF would be GREAT!!! but $25 Red Lobster GC would be AWESOME!!! Thanks for the chance! They are all great, but I love Amazon cards. Fortunately, it looks like the Rafflecopter is working for me so far. Thanks for the giveaway-- I'd love to win the $15 Amazon gift card! I would love to win one of the Wal-mart or Amazon cards. I would love to win the $20 Target GC I need to buy my Daughter some clothes! I would love to win an amazon one to spend on the kids xmas or red lobster as a stocking stuffer for the hubby (and me) but any of them would be great! thank you for the awesome giveaway!